There was an amazing turnout at last night’s DataPhilly meetup (~200 people!). I was completely delighted by the turnout and people’s engagement level. Here are the slides of the talk I gave to set up the evening with a high-level introduction to machine learning. 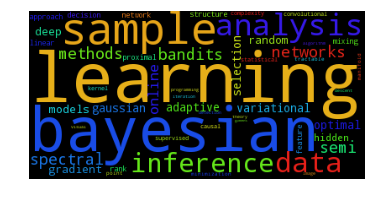 The next DataPhilly meetup will feature a medley of machine-learning talks, including an Intro to ML from yours truly. Check out the speakers list and be sure to RSVP. Hope to see you there! 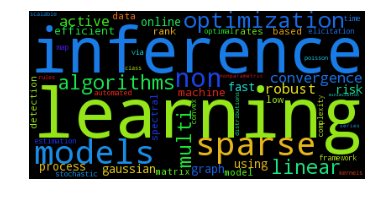 Abstract: Corey will present a brief introduction to machine learning. In his talk he will demystify what is often seen as a dark art. Corey will describe how we “teach” machines to learn patterns from examples by breaking the process into its easy-to-understand component parts. By using examples from fields as diverse as biology, health-care, astrophysics, and NBA basketball, Corey will show how data (both big and small) is used to teach machines to predict the future so we can make better decisions. Bio: Corey Chivers is a Senior Data Scientist at Penn Medicine where he is building machine learning systems to improve patient outcomes by providing real-time predictive applications that empower clinicians to identify at risk individuals. When he’s not pouring over data, he’s likely to be found cycling around his adoptive city of Philadelphia or blogging about all things probability and data at bayesianbiologist.com. 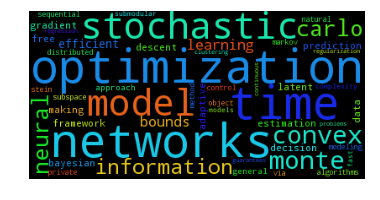 Abstract: Over the past decade, data science and machine learning has grown from a mysterious art form to a staple tool across a variety of fields in business, academia, and government. In this talk, I’m going to introduce the concept of tree-based pipeline optimization for automating one of the most tedious parts of machine learning — pipeline design. All of the work presented in this talk is based on the open source Tree-based Pipeline Optimization Tool (TPOT), which is available on GitHub at https://github.com/rhiever/tpot. Bio: Randy Olson is an artificial intelligence researcher at the University of Pennsylvania Institute for Biomedical Informatics, where he develops state-of-the-art machine learning algorithms to solve biomedical problems. He regularly writes about his latest adventures in data science at RandalOlson.com/blog, and tweets about the latest data science news at http://twitter.com/randal_olson. Bio: Austin Rochford is a Data Scientist at Monetate. He is a former mathematician who is interested in Bayesian nonparametrics, multilevel models, probabilistic programming, and efficient Bayesian computation. There’s a curious thing about unlikely independent events: no matter how rare, they’re most likely to happen right away. You’ve taken a bet that pays off if you guess the exact date of the next occurrence of a rare event (p = 0.0001 on any given day i.i.d). What day do you choose? In other words, what is the most likely day for this rare event to occur? Setting aside for now why in the world you’ve taken such a silly sounding bet, it would seem as though a reasonable way to think about it would be to ask: what is the expected number of days until the event? That must be the best bet, right? We can work out the expected number of days quite easily as 1/p = 10000. So using the logic of expectation, we would choose day 10000 as our bet. Let’s simulate to see how often we would win with this strategy. We’ll simulate the outcomes by flipping a weighted coin until it comes out heads. We’ll do this 100,000 times and record how many flips it took each time. The event occurred on day 10,000 exactly 35 times. However, if we look at a histogram of our simulation experiment, we can see that the time it took for the rare event to happen was more often short, than long. In fact, the event occurred 103 times on the very first flip (the most common Time to Event in our set)! So from the experiment it would seem that the most likely amount of time to pass until the rare event occurs is 0. Maybe our hypothetical event was just not rare enough. Let’s try it again with p=0.0000001, or an event with a 1 in 1million chance of occurring each day. While now our event is extremely unlikely to occur, it’s still most likely to occur right away. What does this all have to do with seizing the day? Everything we do in a given day comes with some degree of risk. The Stanford professor Ronald A. Howard conceived of a way of measuring the riskiness of various day-to-day activities, which he termed the micromort. One micromort is a unit of risk equal to p = 0.000001 (1 in a million chance) of death. We are all subject to a baseline level of risk in micromorts, and additional activities may add or subtract from that level (skiing, for instance adds 0.7 micromorts per day). While minimizing the risks we assume in our day-to-day lives can increase our expected life span, the most likely exact day of our demise is always our next one. So carpe diem!! Don’t get too freaked out by all of this. It’s just a bit of fun that comes from viewing the problem in a very specific way. That is, as a question of which exact day is most likely. The much more natural way to view it is to ask, what is the relative probability of the unlikely event occurring tomorrow vs any other day but tomorrow. I leave it to the reader to confirm that for events with p < 0.5, the latter is always more likely. What’s Warren Buffett’s $1 Billion Basketball Bet Worth? A friend of mine just alerted me to a story on NPR describing a prize on offer from Warren Buffett and Quicken Loans. The prize is a billion dollars (1B USD) for correctly predicting all 63 games in the men’s Division I college basketball tournament this March. The facebook page announcing the contest puts the odds at 1:9,223,372,036,854,775,808, which they note “may vary depending upon the knowledge and skill of entrant”. Well, that was easy. So if you were to just guess randomly, your odds of winning the big prize would be those published on the contest page. We can easily calculate the expected value of entering the contest as P(win)*prize, or 9,223,372,036ths of a dollar (that’s 9 nano dollars, if you’re paying attention). You’ve literally already spent that (and then some) in opportunity cost sunk into the time you are spending thinking about this contest and reading this post (but read on, ’cause it’s fun!). But of course, you’re cleverer than that. You know everything about college basketball – or more likely if you are reading this blog – you have a kickass predictive model that is going to up your game and get your hands into the pocket of the Oracle from Omaha. What level of predictiveness would you need to make this bet worth while? 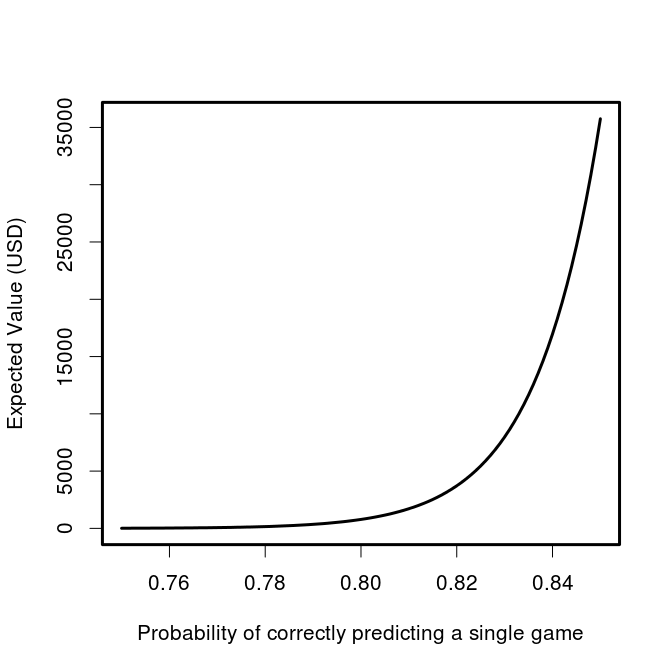 Let’s have a look at the expected value as a function of our individual game probability of being correct. 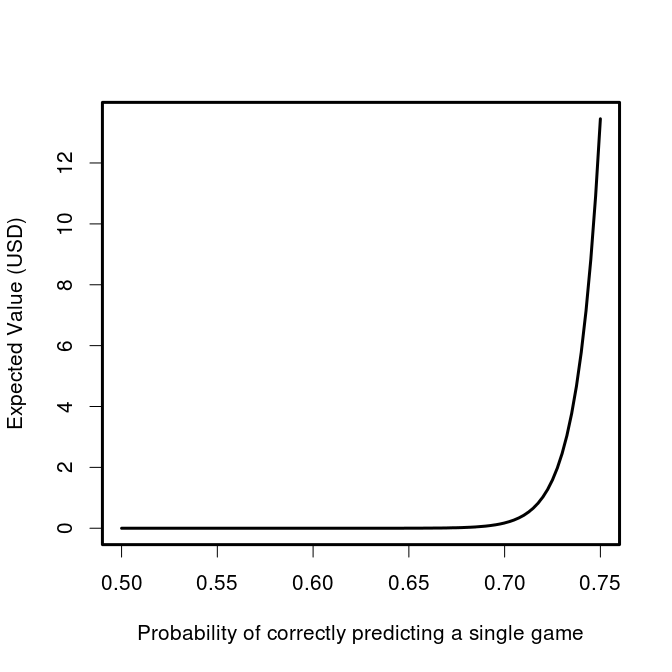 So it’s starting to look enticing, you might even be willing to take off work for a while if you thought you could get your model up to a consistent 85% correct game predictions, giving you an expected return of ~$35,000. A recent paper found that even after observing the first 40 scoring events, the outcome of NBA games is only predictable at 80%. In order to be eligible to win, you’ve obviously got to submit your picks before the playoff games begin, but even at this herculean level of accuracy, the expected value of an entry in the contest plummets down to $785. Those are the odds for an individual entrant, but what are the chances that Buffet and co will have to pay out? That, of course, depends on the number of entrants. Lets assume that the skill of all entrants is the same, though they all have unique models which make different predictions. In this case we can get the probability of at least one of them hitting it big. It will be the complement of no one winning. We already know the odds for a single entrant with a given level of accuracy, so we can just take the probability that each one doesn’t win, then take 1 minus that value. 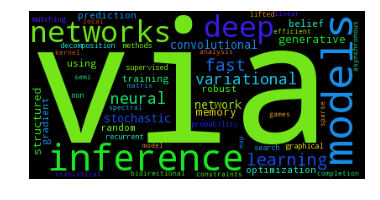 Just as we saw that the expected value is very sensitive to the predictive accuracy of the participant, so too is the probability that the prize will be awarded at all. 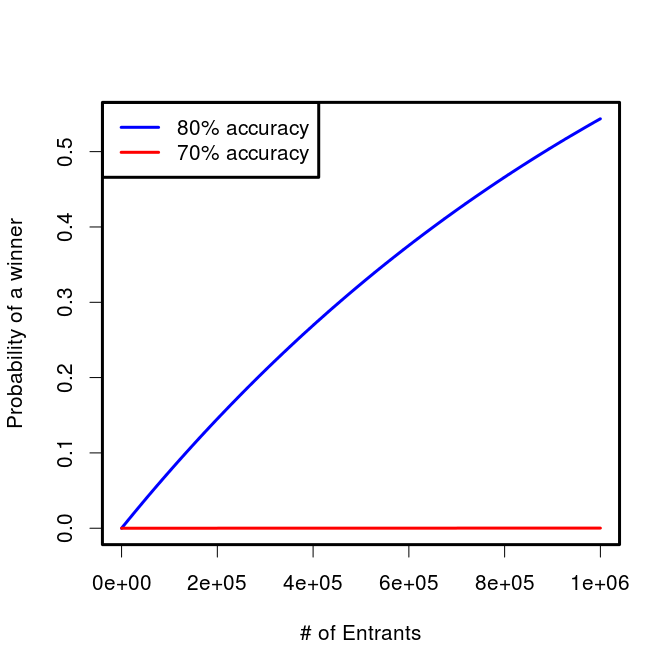 If 1 million super talented sporting sages with 80% game-level accuracy enter the contest, there will only be a slightly greater than 50% chance of anyone actually winning. If we substitute in a more reasonable (but let’s face it, still wildly high) figure for participants’ accuracy of 70%, the chance becomes only 1 in 5739 (0.017%) that the top prize will even be awarded even with a 1 million strong entrant pool. tl;dr You’re not going to win, but you’re still going to play. If you want to reproduce the numbers and plots in this post, check out this gist. To create a representation or model of (a physical system or particular situation, for example). To learn by creating a representation or model of a physical system or particular situation. Particularly, using in silico computation to understand complex systems and phenomena. This concept has been floating around in my head for a little while. I’ve written before on how I believe that simulation can be used to improve one’s understanding of just about anything, but have never had a nice shorthand for this process. What type of observations might we make if x were true? If my model of the process is accurate, can I recapture the underlying parameters given the type of observations I can make in the real world? How often will I be wrong? 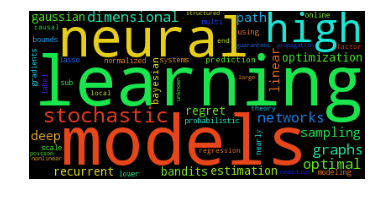 Will I be able to distinguish between competing models given the observations I can make in the real world? In addition to being able to ask these types of questions, the simudidact solidifies their understanding of the model by actually building it. So go on, get simudidactic and learn via simulation!